Elephant LED Night Light Only $3.18 SHIPPED! You are here: Home / Great Deals / Amazon Deals / Elephant LED Night Light Only $3 + FREE Shipping! 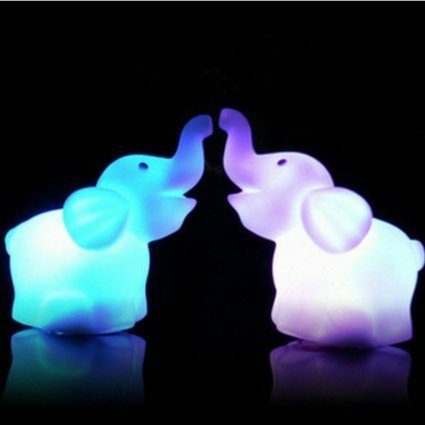 Elephant LED Night Light Only $3 + FREE Shipping! Expecting a baby or know someone who is? Or, do you have a baby at home? If you are looking for a night light, I have just the thing for you! This super cute Elephant LED Night Light is just $3 + FREE shipping! I’m all about getting practical, functional items that are really cute and don’t break the bank, and this deal is fantastic! I’m getting this for a friend who’s expecting a baby this summer. I know she’ll love it!